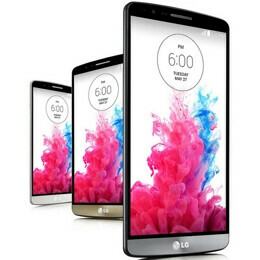 Qualcomm says the LG G3 is a smartphone "that wants to get to know you"
From time to time, Qualcomm presents (on its official blog) some of the newest smartphones that are built using its SoCs. Today, the company presented the Snapdragon 801-powered G3 - which, as we’re sure you already know, was officially announced by LG not many hours ago. In Qualcomm’s view, the G3 is a "flagship phone that wants to get to know you", and its “true strength” lies not in its Quad HD display - which is a rare feature among today’s smartphones - but in its "array of behavior tracking software." As we already told you, the G3 comes with various new software novelties, like Smart Notice (which, in LG’s words, is "like a personal assistant"), Smart Keyboard, and Smart Security. Of course, Qualcomm couldn’t overlook the G3’s 13MP rear camera with Laser Autofocus, and neither its smart 2.1MP front-facing camera that lets you take selfies using gesture controls. In the end, Qualcomm says that "the combination of the G3's processing power and camera features, alongside its behavior monitoring capabilities, makes it an interesting competitor in a competitive flagship smartphone segment." While the G3 will be available in LG’s home country (South Korea) starting tomorrow, May 28, the rest of the world has to wait until June, or even July, before being able to buy the handset. While you’re waiting, here’s everything you need to know about the G3. And don't forget to check out our LG G3 hands-on here. Only thing I admire about Apple is when they announce a device it's released almost immediately. LG you better get your shat together and release this asap. Otherwise people like me will wait for something better if we have to wait a month or more. All i see is 'Available in 2 weeks' when announced and then sold out immediately because they have 1 unit for every 20 customers and then available in 2-4 weeks, You must have been living under a rock since the iPhone released! Although I dislike iPhone, what you said was wrong. In fact, the sold 9 million iPhones in 3 days when the 5S was released. Saying that 1/20 apple costumer can get an iphone while 9 million were sold, is no where near the truth. Again, I dislike Apple. LG made an overall good phone with solid improvements over the G3. However, it looks like it is the last of the 801 flagships, instead of the first of the 805 flagships. Unless the 805 is going to be very late this year, it makes little sense to put out an 801-based phone so late. With the rumored late June to mid July US availability, it will make sense for many people to wait for all the "Prime" models, the Note 4, even the iPhone 6 5.5", before buying the G3. I wouldn't mind the 3GB RAM 32bit Z2 Compact -- if Sony put in a better headphone amp. Really? Seriously? That's no substitute for a serious hardware amp and dedicated DAC like those in ACTUAL Walkmans. Poweramp's preamp is just a software volume booster. Dont mean crap to most people as these phones will last them well over 3 years if they even decide to keep it that long. Even my Note 2 is running great since Oct 2012. Most people are not a spec freak. I am, don't get me wrong. But it's fact. So consider the person making a choice about buying a phone that they want to last and get good use out of for three years. The 805 is supposed to bring a 20% power usage savings vs. the 801 and a moderate improvement in graphics speed. These are very nice things to have for the life of a phone. Worth waiting a few months for? For many people buying a phone they intend to keep for three years, the answer is probably yes. metal grey color is sexxy..
qualcomm wants to you know or wants to tell us G3 is a worst thing, but still is a smartphone ? WTF !!!!!!!!!!!!! That wants to get to know you. This is creepy. Just turn on the video recorder, strap the G3 to your head, and party like it's 1984. Hahahaha. H*ll yeah. Sony 80s speakers and sh*t.
It must've been equipped with the 805 or 810 that would've make a difference overall a nice phone like the ones that lunched b4, still waiting for qualcom's 805 or 810 to make my mind that would be a deal breaker.